These look great!! I want one right now!!! Thanks for sharing it! Pinning it!! The story of my life...Banana bread. we're doing a baking party this weekend... and banana bread bar??? How do you head butter? Sorry if this sounds dumb and I don't mean to offend, is it supposed to say Heat? Because I am not a great beaker, so if heading is an actual baking term I really don't know how to do it lol. Nope. It's just a misspelling. Should have read heat. Sorry about that. 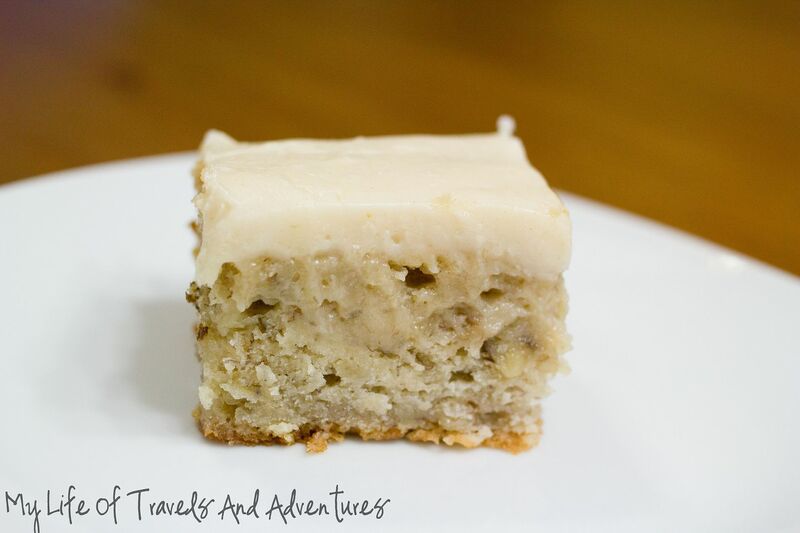 These are the BEST Banana Bars I have ever made or eaten. 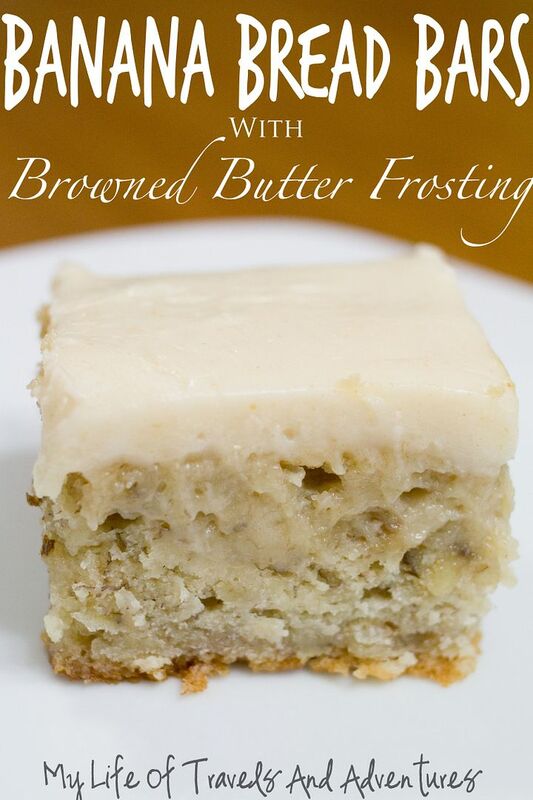 They are so moist and the frosting is what "takes the cake".